The car has made us alienated and fat. The car is an incredible invention. With an open stretch of road available it is surely one of the greatest ways to travel over the earth. Unfortunately, the car fails in its aim of increased mobility if it is one of several million trying to get in and out of cities. 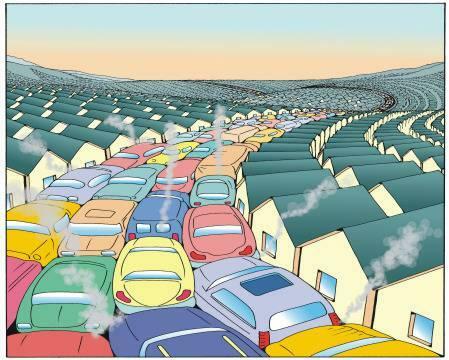 In fact, the way that car use has become normalized has lead to a range of social, environmental and health problems. 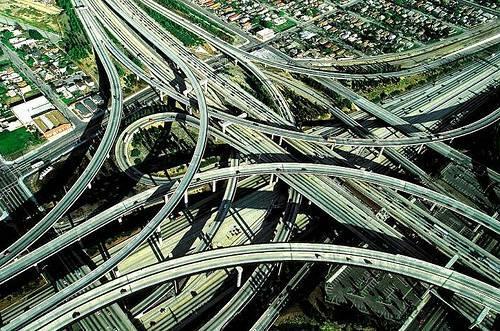 Western countries are described as ‘auto-centric’ because the car has become the ubiquitous mode of travel. Today, there are approaching 1 billion cars worldwide. This is set to triple by 2050 as the developing world adopts the same model of transportation. Readers are most likely familiar with the environmental impacts of making and using these millions of cars, climate change being the ultimate fall-out. However, the mass reliance of the car is also a causal factor in a wide range of other ills facing modern society, for example, the problems of urban sprawl, delocalization and the loss of community space. Car use has spread out key elements of our lives beyond the human-scale. Rather than walking to the market people drive to the ‘supermarket’ with less human contact along the way. Many people also drive to work and school which has erodes community. Car use has radically reshaped our neighborhoods and our lives. As long commutes become the norm, local shops and amenities disappear. With the corresponding increase in the size of shops, distance of travel and amounts of roadway, there is, increasing carbon intensity to the most fundamental elements of our lives and we become ‘locked-in’ to carbon intense, individualistic ways of living. Today we know far fewer of the people we live near then ever before significantly reducing our well being. The car was supposed to usher in a new era of independence and personal freedom but in fact it has made us alienated and fat. 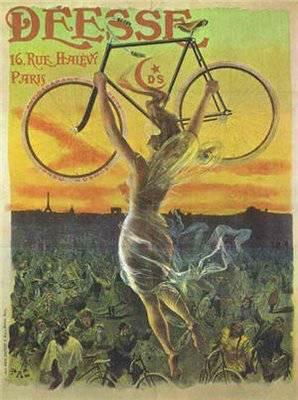 Undoubtably, moving to healthy, happy and sustainable lifestyles will require the modal shift from cars back to human powered transportation. This will improve people’s health, reduce pollution and help rejuvenate communities. A major challenge to this shift is the forward momentum of 'business as usual'. Governments have been subsidizing fossil fuels, roads and cars for generations. Today, many people lives have become totally dependent on the car. 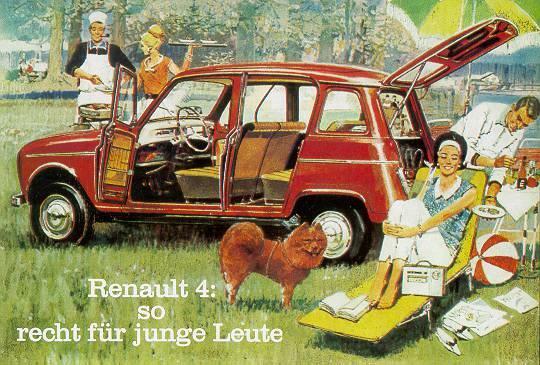 For these people there is now and intermediary step to a car-free life: car sharing! Sharing cars reduces the impact of each journey; reduces the number of cars on the road; saves you money; may be more convenient than public transport and is an opportunity to connect with fellow human beings. Furthermore, it is a chance to embrace the idea of sharing resources a tradition we are going to need to remember as we relocalize, rebuild functional communities and radically reduce per capita consumption. The car is dead! But before you bury it… share it! 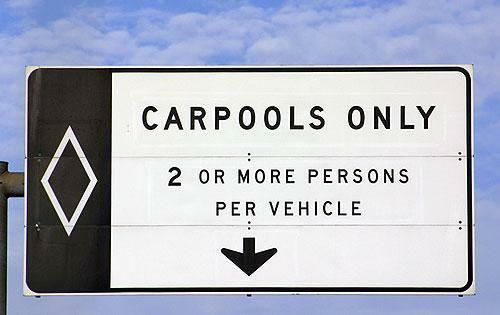 carpooling.co.uk is a new car sharing portal to match make you with the lifts you need. 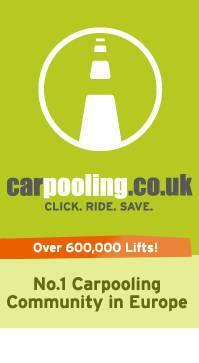 With 600,000 lifts on carpooling.com at any one time it means users are likely to find a compatible lift. And the best thing about it: it doesn’t cost a penny to use the carpool service! The convenience of being able to travel to your destination with a guaranteed seat and departing at the time you wish is appealing, and carpooling.com can make it even more enticing. Drivers can register on our site free of charge and list a one off or regular lift. Carpooling.co.uk provides a cost calculator recommending the appropriate contribution to petrol and also helps users tailor their searches. In 2011 they introduced a new booking feature which also means users can rate their passengers and drivers. This makes it easier for people to judge whether their potential driver will be compatible with them. It doesn’t ask if you do your makeup at the traffic light, pick your nose in the car or sit in the passenger seat with your shoes off but it does cover important things such as punctuality, keeping to the agreement and level of comfort. There are security features which have been implemented to the car sharing portal so users can search for lifts where a user’s identity has been verified by us or if females feel more comfortable with female only drivers they can edit their search accordingly. We find users also sometimes add in their wishes such as ‘I like to drive at a fuel efficient 60mph helping users select their appropriate travel buddy easily. If the idea of small talk with a fellow carpooling.co.uk user fills you with dread it is worth bearing in mind that the portal has forged many friendships of like minded people since 2001 and they have also brought together 10 couples who ended up getting married! Perhaps the potential saving of up to 75% of the driving costs and the option to select your passengers or drivers from the 3.3 million registered users could make you reassess your willingness to extend the privacy of your car into a public space for the length of your journey? If you really feel the need you can always add to the comments box that you would rather your passengers keep their feet firmly in their shoes and their singing to a minimum!